Hair Salon Ballantyne | Element 5 Salon in Charlotte | Cuts, Color, More. Welcome to Element 5 Salon! Located off of Hwy 521 in South Charlotte, Element 5 Salon is convenient for clients in Ballantyne, Pineville, Ft. Mill, Weddington, Indian Land, Lancaster, and Charlotte. One of Charlotte’s most trusted hair salons and the newest Aveda Hair Salon Charlotte, Element 5 Salon offers a variety of popular services including the most sought after hair treatments and procedures. Looking for a Professional Hair Stylist in Charlotte, NC? If you are looking for a professional hair stylist, Charlotte clients will love our experienced team at Element 5 Salon. We provide expert advice tailored to your specific hair type and needs. Whether you are looking for a new, updated hairstyle or want to enhance your existing look, our talented team of hair professionals are here to make it happen. We strive to cultivate an environment of innovative, modern, creative and vibrant stylists who are knowledgeable of the latest techniques in hair cutting, hair styling, hair treatments, and hair coloring, Charlotte clients want and deserve. We use quality Aveda hair products and the latest styling techniques to bring out the very best in your hair. Balayage – Balayage is a French word that means to sweep or paint. This type of hair coloring offers softer, natural looking highlights than traditional hair color methods. Balayage gives clients a more modern look with less noticeable regrowth lines than typical hair color offers. Color - We believe that gorgeous hair needs beautiful color. Our highly skilled designers will create an appropriate color that will enhance your hair and refresh your style. Let us create a look that will turn heads and make you feel incredibly confident and beautiful. If you want natural beautiful looking color without any damaging effects, ask one of our hair stylists in Charlotte, NC about Aveda and Wella color. Keratin Treatment - If you don’t have the time to blow-dry your hair, if your hair is frizzy, curly or difficult to manage, we have just the solution for you, Keratin Treatment. Keratin Complex Treatment's revolutionary technology does not break the hair's bonds, instead delivering the versatility of smoother, healthier-looking hair that can be styled wavy or stay straight as desired. Haircuts – The Charlotte, NC stylists at Element 5 Salon continually develop innovative techniques and push our creative boundaries, expanding our ability to create new styles and beautiful hair that will exceed your expectations. Observing your facial features, considering your hair characteristics and listening to you is an important part of the creative process. Let one of our designers create a haircut specifically tailored to suit your needs. Call and schedule an appointment at Element 5 Salon today and let us help you experience the incredible difference even a single visit to our salon can make. 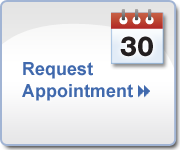 To make an appointment at our hair salon Charlotte, NC area clients can call us at %CLIENT_PHONE% or use our convenient online appointment system!